Topic(s): Market Disruptors: How Blockchain and Fintech are Changing the Way We Do Business? Event Format: Luncheon & Presentation with 2nd Optional Session Agenda: 12 - 12:30 PM Arrival, Check In & Lunch 12:30 - 12:45 PM Lunch + RMAFP Opening Remarks 12:45 - 1:45 PM Session #1 Blockchain from A to Z 1:45 – 2:00 PM Break 2:00 – 3:00 PM Session #2 FinTech: Is it Finance or Technology? 12 Noon until 3:00 p.m.
As a finance professional, you must continually adapt to rapidly evolving payment types and channels, changes in the global business environment, and new ways of sharing information. Despite nearly constant change in the finance world, few organizations have gained additional resources or technical expertise to help navigate the complexity of the new normal. Explore practical solutions for simplifying the management of today’s multi-faceted systems. 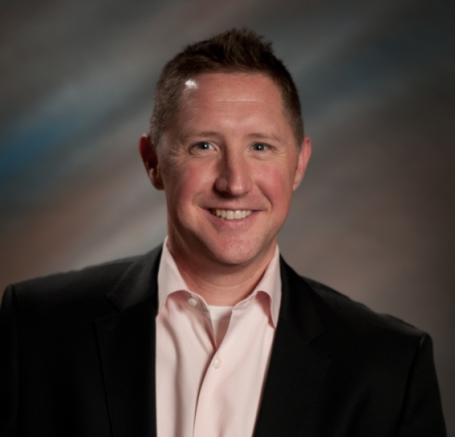 With more than 20 years of financial technology & strategy consulting experience, Chad Dickson connects emerging technology advancements from the Wells Fargo Innovations Group with their corporate customers to define the impact on their treasury and financial operations. He joined Wells Fargo as part of the Wholesale Internet and Treasury Solutions group in 2006. As a leader within Solutions Group he managed a national team of consultants that is focused reengineering and optimizing the Accounts Payable and Accounts Receivable processes by removing costly manual functions and helping them to set a strategy to transition to next generation of payments. .Prior to joining Wells Fargo, Chad worked in the technology industry focused on deploying cutting edge financial services solutions with many of the world’s largest banks. He has launched & worked for companies such as Corillian Corporation and Metavante (FIS), Fiserv and EDS in global consulting and sales leadership roles. Session #2 Title: FinTech: Is it Finance or Technology? Have you ever heard the phrase “FinTech”? What is it? Why does it exist? If you are interested in learning about what FinTech is and how it is stirring up the financial institution industry, come join us! We will have a panel discussion with experts that have worked in both traditional financial institutions as well as in FinTech so we can learn the differences as well as the similarities. Libby Morris is the Head of US Loan Ops for Funding Circle. She joined Funding Circle in March of 2017 and currently heads the Denver Office. Before Funding Circle, Libby served as the Operations Director for Opportunity Fund, a nonprofit small business lender whose mission is to improve the lives of working people. Prior to her 5 years at Opportunity Fund Libby worked for Bank of America for 12 years in Retail Banking. Libby is passionate about economic opportunity and is pleased to be in a role that allows her to help serve small business owners, who she believes can be a catalyst for growth and opportunity in America. Karen Chen is a Senior Legal Counsel at Funding Circle USA. Prior to joining Funding Circle, she was an attorney at the global law firm of DLA Piper for 8 years, primarily handling securities litigation and consumer class action matters. Following DLA Piper, she spent 3 years at Midland Credit Management, a wholly-owned subsidiary of Encore Capital Group (ticker symbol ECPG), a specialty finance company that is the largest purchaser of charged-off consumer debt. Karen received BAs in Political Science and Sociology from the University of California - San Diego and a JD from Cornell Law School.